We could not survive without donations, which cover half of the nursery’s total running costs. You can make a one-off donation or a regular donation, or you can set up a fund-raising page for an organised or sponsored event you are participating in a personal challenge to mark a special occasion or in memory of someone. 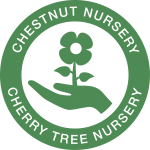 Cheques should be made payable to Cherry Tree Nursery. To donate securely via Virgin Money Giving, please click the button below. You can raising money for a good cause, PayPal has a solution for you.